With its imperial history, Qing dynasty design, Ming intrigue, revolutionary attititude and command over the world's most populous and diverse nation, Beijing is the greatest city that has ever existed. If only there was a key to unlock all its secrets? Now there is a way, and it’s a quest called the Hutong Races and it can change how you discover this wondrous, enigmatic metropolis. Exploring the capital of China has never been more exciting. The Hutong Races can take you to different neighbourhoods of the city, where history and culture is deeply inspiring. Accept the challenge and you will be given several hours to explore indepth the ancient streets to discover the secrets of temples, hutongs, mansions, alleys and communities. The more you can observe, uncover and decipher, the greater are your prizes and rewards, and indeed you will be rewarded well. 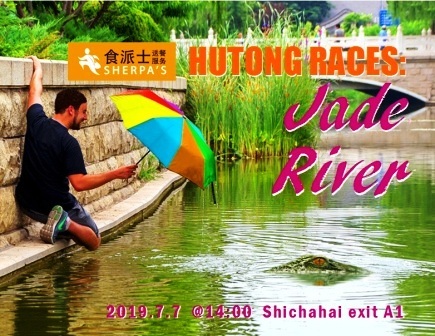 The Hutong Race events have different themes and one will be perfect for tourists visiting the city. Explorer Challenges are available online for landmarks, temples and major attractions across Beijing. It is the best way to get the most fun and excitement out of your day. By accepting the challenge, you will be given a special historical briefing to understand the famous places in the capital. You'll then go in with questions and puzzles to prove your ability as an explorer. You'll gain an far better understanding of Chinese culture by making discoveries. If you do well, you'll be rewarded with special offers from our sponsors, offering some of the best food, drinks and entertainment in China. 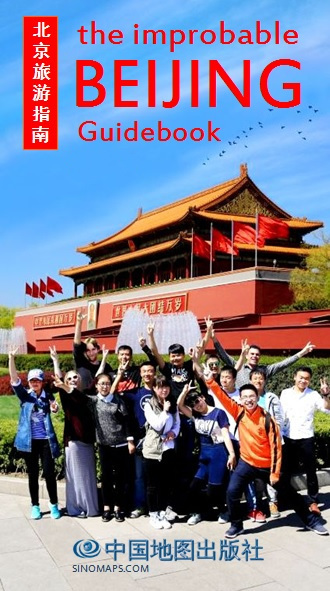 We have one special challenge with our advertisement on page 9 of the Beijing Improbable Guidebook. You should all get a copy from any Foreign Language Bookshop in Beijing or The Bookworm. The challenge is simple. There are seven questions, each one from a different part of Beijing's inner districts. More information and the answers are available here on this website. Answer the questions and any new visitor to Beijing can get a free ticket to the next Hutong Race Event. About once per month, there is a game event, where teams from across Beijing compete to win the Hutong Cup. These are China's most hardy expeditioners, with exceptional skills in perception, navigation and perseverance. You and your friends can form a tream an join in all the fun and activities. Hutong Races welcome for newcomers and even Beijingers who want to explore longer and further than they’ve ever done before There are prizes, freebies and rewards for at every levels of the game, so lookup the next event and sign up through WeChat. From this website you can learn more about Hutong Races For vistors to Beijing, you'll want to know where you can start one of our Challenges. For our game participants, you can find out the rules, plan for future games and check out scores and results from past games. But don't stay glued to your computer. We need you out exploring. There is an amazing city out there, waiting to be discovered. It's take two for the Hutong Races. Start from Shichaihai Station exit A1 with your iphone charged. Your team must race to find answers and complete challenges in seven hutongs around the Drum and Bell Tower. Every second counts! Using your phone, race to find answers and complete challenges in seven hutongs around the Jade Canal and the side streets of Nanlouguxiang. Every second counts!